TEN homeless men are being given food and a place to sleep inside Portsmouth churches for 28 consecutive nights. 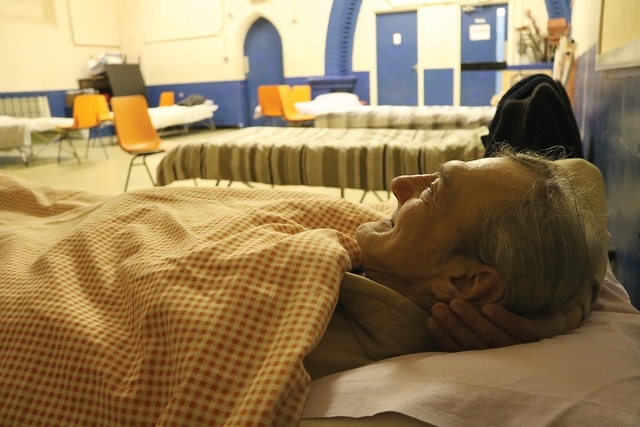 Christians from across the city are offering evening meals, bed and breakfast to those who may otherwise be sleeping on the streets. 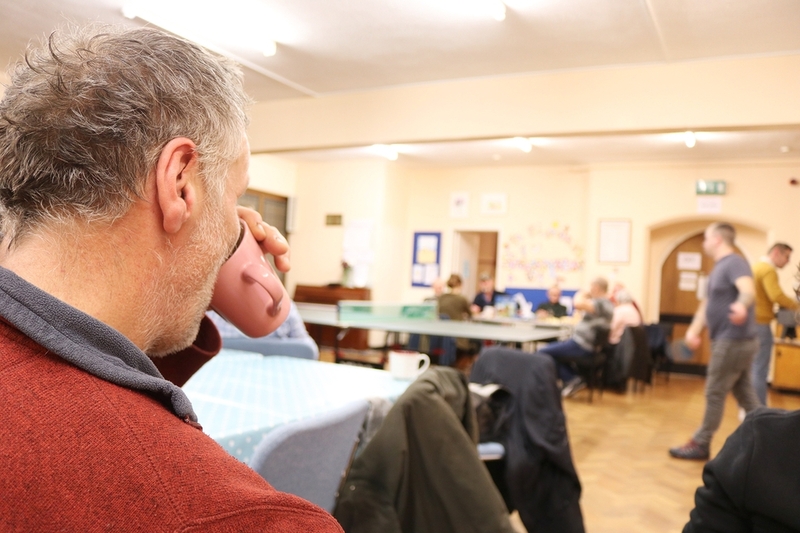 Their Open Church project aims to do something about Portsmouth’s growing homelessness problem and build relationships between churchgoers and the homeless. Each of the seven churches involved is hosting their guests on a particular day of the week. So St Simon’s Church in Southsea is the venue each Friday night during February. On the first Friday (Feb 2), guests were served chilli con carne sitting at tables in the church hall. A team of volunteers made and served food, chatted to guests, and played table-tennis, table football, board games and cards with them. Later, they moved upstairs where camp beds had been made up with sheets and pillows in another hall, which was serving as a makeshift dormitory. And in the morning, guests freshened up before enjoying the breakfast provided. One guest, called ‘Mac’, explained how he had ended up homeless after a relationship breakdown around Christmas. The other churches hosting the homeless during the month of February are St Jude’s C of E Church, Southsea; Kings Church, Southsea; Portsmouth Family Church; Immanuel Baptist, Southsea; Eastney Methodist Church; and St Swithun’s RC Church, Southsea. More than 150 churchgoers and non-churchgoers volunteered to help. The scheme is a pilot project, which is running for four weeks. 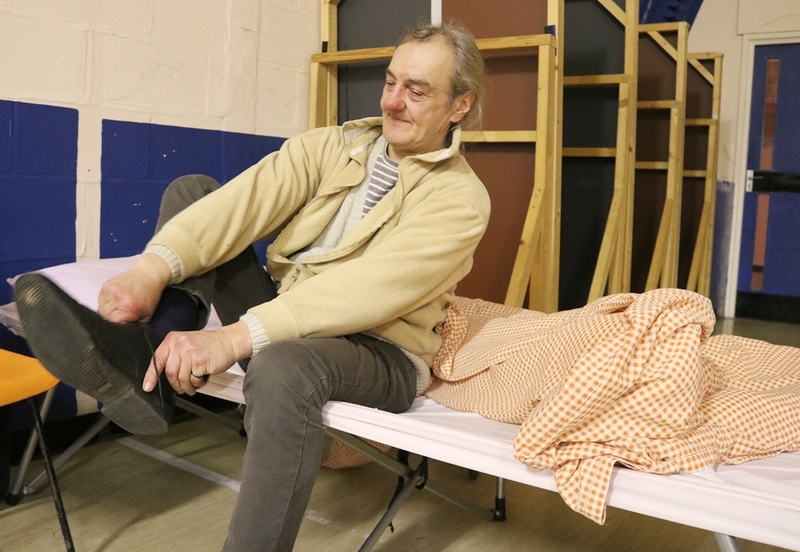 The 10 guests were selected by the Society of St James, a homelessness charity which manages the Winter Beds Service on behalf of Portsmouth City Council. It has provided training and practical support for the churches. The Open Church project seeks to complement the work that churches already do in the city with those who are homeless. That includes Sunday Suppers at St Simon’s, which has provided a hot meal for homeless people every Sunday for 27 years. The project has been organised by the Rev Adam Denley, curate at St Jude’s Church, Southsea, and Lorna Sandland, community development worker at St Simon’s. Lorna said: “We wanted to find a practical way to help those who are on the streets and suggested this pilot scheme. We were amazed – and delighted – that more than 150 churchgoers wanted to help.